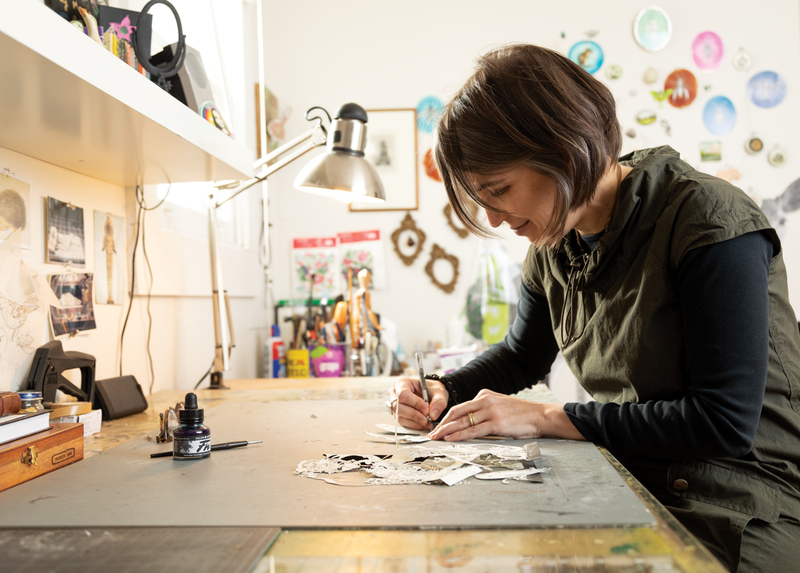 Bell’s process includes meticulously slicing paper cutouts to create three-dimensional forms. 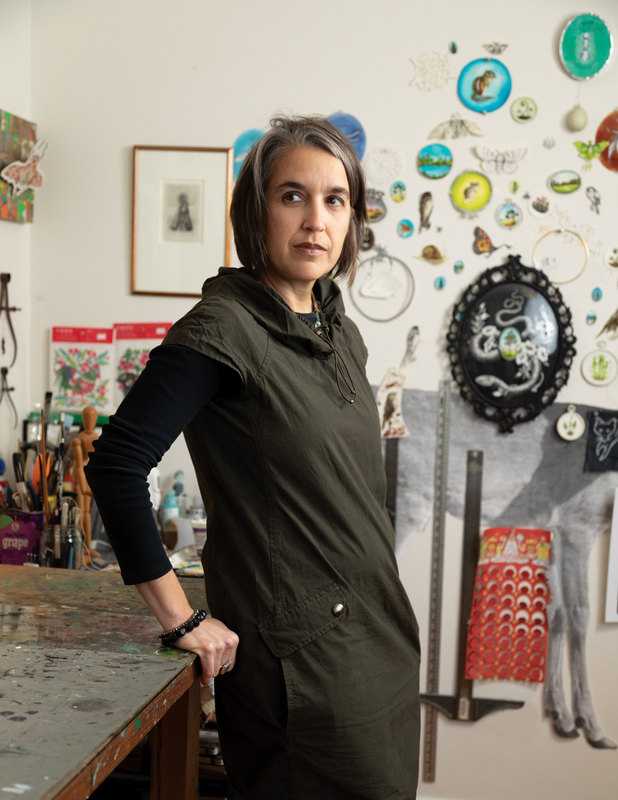 Bell, who grew up in Seattle, studied printmaking and earned an MFA before moving to Atlanta in 2000 with her husband, a photographer and mixed-media artist. Through the Hambidge Center, the pair collaborated on a temporary installation at Colony Square called The Untamed Parlor, which blended her affinity for Victorian opulence and his urban photography and sculpture. 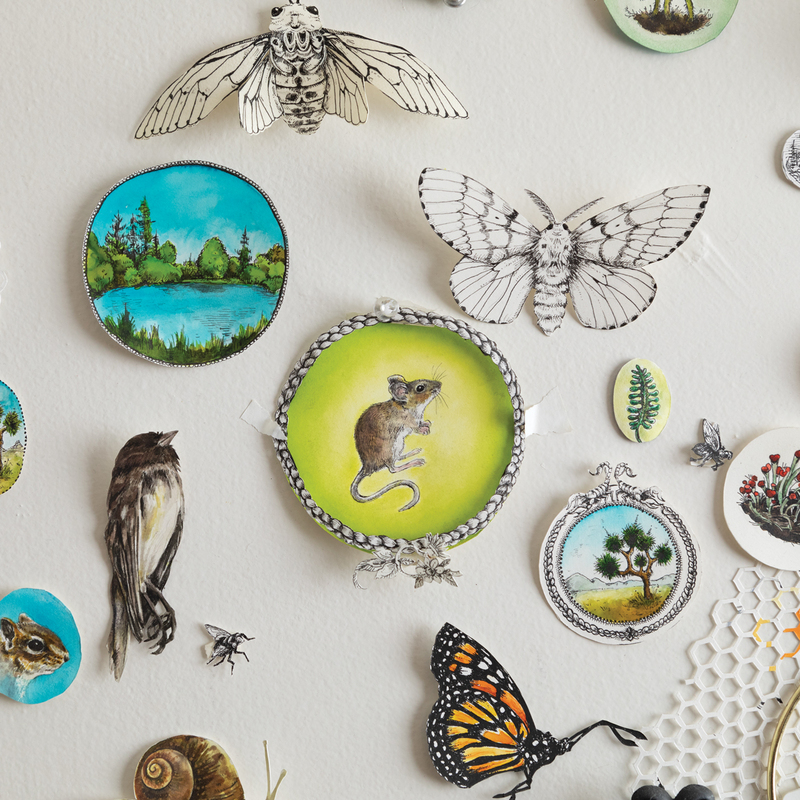 At her home studio in Kirkwood, nature books are stacked on her drafting table and a decorative wallpaper pattern she designed features deer, possums, and other animals commonly found in urban and suburban environments. Detail of The Harbingers, a nod to the threats facing honeybees. 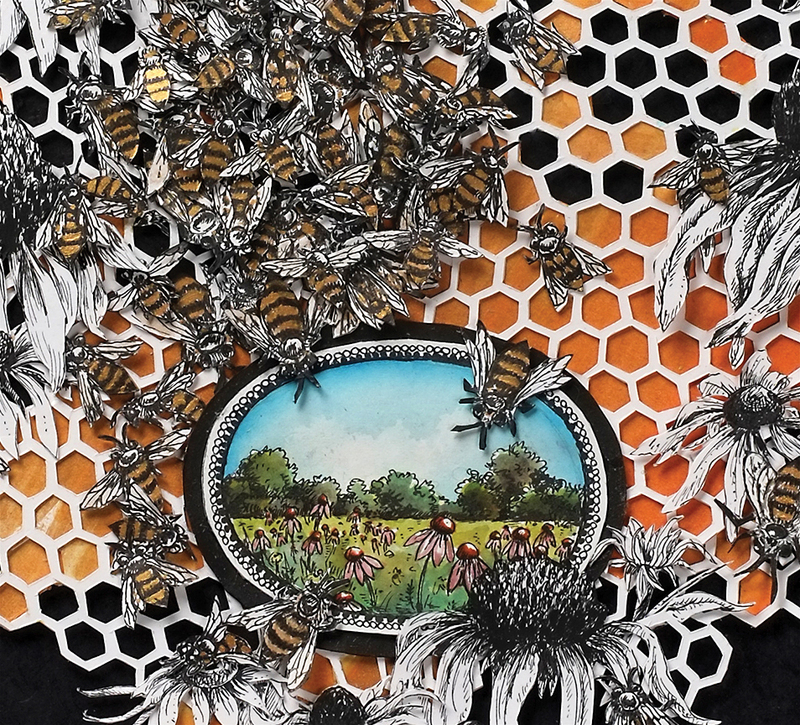 In The Harbingers, dozens of paper honeybees buzz around a hive in an intricately layered collage. Another piece, Eastern Indigo, depicts the endangered snake of the same name, winding around its endangered habitat, the longleaf pine tree. Both species are native to Georgia and are disappearing due to development and deforestation. A cross-country road trip three years ago ignited Bell’s penchant for drawing and painting vulnerable species. Her daughter was two years old when she and her husband bought a 1961 Shasta camper (which now serves as a backyard conversation starter) and took off across the country. Bell, whose small pieces start at $75, is represented by Whitespace Gallery, where she will have a solo exhibition next year.